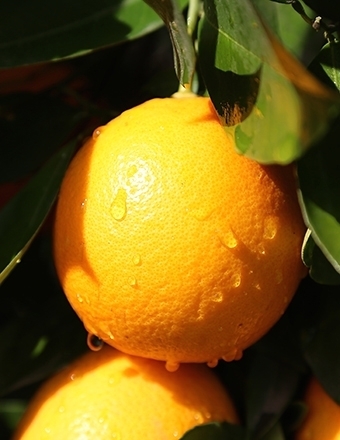 Sweet Orange belongs to Rutaceae botanical family and is cold pressed from fresh fruit rind. So it is very important that the essential oils are produced from the unsprayed fruit. Sweet Orange oil is not phototoxic as oil from Bitter Orange and is high in Monoterpenes which are highly volatile. Shelf life of this oil is short,1-2 years, stored properly in a dark and cool place. I over ate this Monday and boy did I pay the price. I had severe stomach spasms, bloating and nausea. I mixed 2 drops of organic Sweet Orange into 2 oz of water and drank it 3 times a day for 2 days. The pain and spasms went away. As a certified Aromatherapist, I do not recommend ingesting essential oils UNLESS you are guided by an experienced Aromatherapist or a qualified physician. Essential oils are highly concentrated and if misused, can cause harms and damages to the organs. Sweet Orange is one of the best oils for digestive problems including Irritable Bowl Syndrome, gas, abdominal spasms, nausea and vomiting. A safer way to reap the benefit of this oil is to mix 12 drops, preferably organic into 1 oz of carrier oil or cream and apply to belly and lower back every few hours. Next postAromatherapy Ylang – Ylang.